PuzzlePad is a fabulous new concept in puzzles – a handy-sized pad of puzzles that you can tear out and solve. 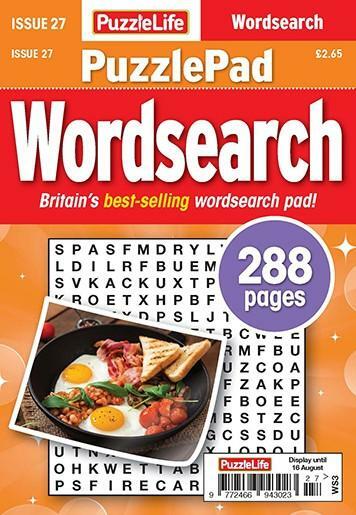 PuzzleLife PuzzlePad Wordsearch contains 288 pages of easy-to-solve wordsearches covering a host of themes. Whether you want to solve just a few or a whole lot, just help yourself and enjoy puzzles on the move. Be the first person to tell us what you think about PuzzleLife PuzzlePad Wordsearch and you'll save £2.50 on your next purchase!